In Ireland for St. Patrick's Day! Plan can only be purchased at the time of deposit. See attached information sheet. 1) The exchange rate is estimated for 2014. 2) This quotation is subject to the terms of our Conditions Sheet (attached). 3) Once the tour is booked, you will receive a written confirmation. After customs and immigration formalities at Shannon Airport, your driver/guide will welcome you to Ireland and take you to your motor coach. Depart Shannon and travel southeast to Limerick and enjoy breakfast with your group at the Dark Horse Pub. Then travel back through County Clare and at the coast view the Cliffs of Moher, an impressive wall of limestone which rises 700 feet over the Atlantic surf. Your route then takes you through the Burren, a vast lunar-like limestone plateau that is home to many rare Irish wild flowers. Traveling north around Galway Bay, reach Galway City with its quaint winding streets, broad quays and medieval houses. After a drive around the principal sights and a stop in the center, drive to your hotel and check in. In the evening join your fellow travelers for dinner in the hotel restaurant. Drive west along the shores of Galway Bay and stop in the village of Spiddal, where Gaelic is still spoken. View the Aran Islands across the bay before turning inland through Connemara, an unspoiled area with vast stretches of bogland and heather- clad hills. Travel via Maam Cross and along the delightful Leenane Valley. Visit Cong where “The Quiet Man” was filmed in 1952 with John Wayne and Maureen O’Hara and take a short walking tour to see places associated with the movie. Finish your walk at the Quiet Man Heritage Cottage, filled with memorabilia of the movie. Return to Galway via Headford and browse around the city center before dining in your hotel. Leaving Galway travel northeast to Athlone and stop at the Tumbledown Shack. Then visit Athlone Castle, a sprawling Norman stronghold which dominates the town center and River Shannon. The castle is noted for its original medieval walls and authentic cannons and mortars and a video provides good background information on the castle and its importance. Continue your travels east across Ireland to reach the metropolitan region of Dublin. Upon arrival check into your hotel where the balance of the day is free. This evening head to the Abbey Tavern for dinner and a traditional ballad session. The drive to Howth, a suburb on the north side of the city will give you great views of Dublin Bay. Built on the site of an old abbey, this pub has been in business for over 200 years. 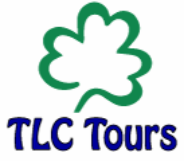 Set off with a local guide who will show you around the prominent historic buildings and monuments of Dublin. Dublin is an ancient settlement, founded by the Vikings in the 9th century. The city has been molded through the centuries with many architectural styles, reflecting the economic, political and artistic influences. Stop to tour St. Patrick's Cathedral, which is almost as old as the city itself and famous for its connections with the brilliantly eccentric Dean Jonathan Swift. In Trinity College view the 8th century Book of Kells, an illuminated manuscript of the gospels. The afternoon and evening are free for independent activities, sightseeing, shopping, dining, pubs and much more. Depart Dublin and travel through the Irish countryside, mainly farming country interspersed with market towns. Stop at the Rock of Cashel for a guided tour of these majestic church ruins which are clustered high on a limestone outcrop overlooking the surrounding countryside. Of particular note are the highly decorated Cormac's Chapel which was built during the 12th century, the large cruciform cathedral from the 13th century and a round tower. Next visit a local farmhouse to sample freshly-baked scones with tea. You will have an opportunity to chat to the owners, learn how Irish farms are run and see a sheepdog demonstration. Continue your travels to Bunratty and visit the Bunratty Folk Park, which comprises a collection of farmhouses from different regions of Ireland and a 19th century village street with a pub, school, general store and many other buildings where traditional lifestyles and crafts are demonstrated. Then check into your hotel and settle in before dinner. 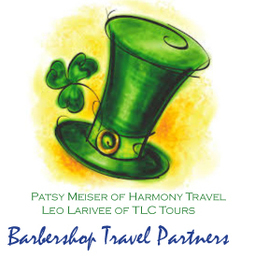 Today is a very special day - St. Patrick's Day in Ireland! As it is a national holiday, all businesses and major stores are closed. Leaving Bunratty drive into Limerick for the St. Patrick’s Day Parade. Watch the bands, many from the U.S.A. and the decorated floats. The atmosphere will be one of high spirits and great fun. From Limerick travel through the rugged countryside of County Kerry to reach the town of Killarney. Check into your hotel and enjoy some free time before dinner. Today discover the beauties of the Dingle Peninsula, made famous by David Lean’s movie, “Ryan’s Daughter.” Drive along the south shore of the peninsula for plenty of vistas of heathery mountains, sandy stretches of beach and rocky headlands. There will be frequent stops at strategic locations to admire the views and take photos. At the base of Conor Pass, stop at the Dingle Brewing company. Learn about the brewery’s rich and varied past before sampling a pint of this local lager. Continue your drive on to the western tip of the peninsula. Here the scenery becomes wilder as the influence of the open Atlantic Ocean strengthens. You will pass early Christian monastic beehive huts and small fishing villages. Return to Killarney in time for dinner. Leaving Killarney drive into the rich farming country of Cork. At Blarney, stop to climb to the battlements of Blarney Castle to kiss the famous "Stone of Eloquence." Also visit the Blarney Woollen Mills, which has an excellent range of Irish products of all types. You will also have time to browse around the village, charmingly set around a large village green. Then drive through the pleasant hilly country of County Cork. This is prime dairying country, known as the “Golden Vale” where much of Ireland's cheese is produced. Pass through the town of Mallow and the village of Adare. Continue your journey to Bunratty and check into your hotel once again. This evening join in the fun and feasting at Bunratty Castle. Your medieval-style banquet is served in the Great Hall of the 15th century castle during which the lords and ladies of the castle transport you in spirit to the Middle Ages with their songs and stories. Sadly, today your Irish vacation has come to its final day. Transfer to Shannon Airport in good time to check in for your flight. You may do some last minute shopping at the duty free stores. Then clear U.S. Immigration before boarding your aircraft and flying across the Atlantic Ocean back to the United States. Yes No Still thinking about it.